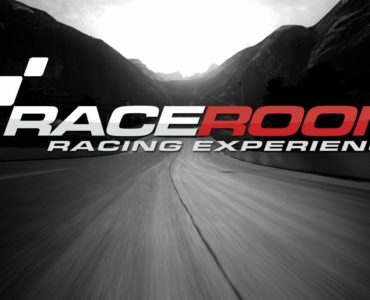 Sector3 Studios have released a first preview video of Spa Francorchamps in RaceRoom Racing Experience. 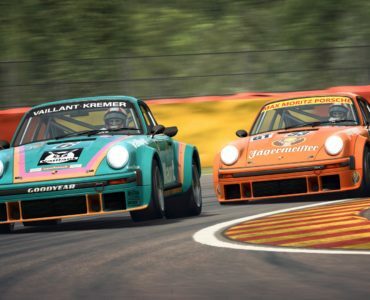 Unlike the upcoming Nürburgring Nordschleife for the free to play title, Spa Francorchamps isn’t based on laser-scan data. Thanks to plenty of track making talent the team has recruited from the sim community, the Belgian Formula One venue looks very promising in this first video nevertheless. Spa is one of the most iconic circuits in the world, hosting an annual Formula One Grand Prix, a 1000km race that is part of the World Endurance Championship, a 24 Hours race among plenty of other national and international racing events. Nice looking track… really like R3E but dislike the cost structure model of releasing their add-ons. It’s strange how they sell packs of very similar cars, or the same car just with different liveries. BINGO… we have a winner! 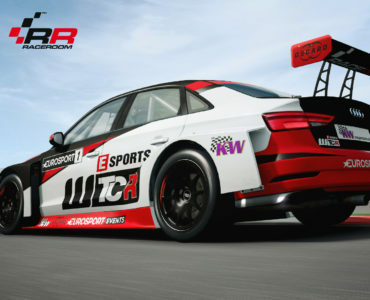 You are discounted if already own, its a decent price structure IMO, consider Pcars is 80NZ, now if you spent that on RRE correctly you’d just about have every track with at least one car in every category WITH at least one experience like ADAC or DTM. They are regularly on sale. There has just been a 70% discount over the summer. Given the basic game is free, if you buy packs at the right time, you can get a fair bit for your £30/$50. And I like the packs of similar cars like the ADAC cars, or the WTCC cars or the DTM cars – makes sense to me. I like the packs too David, but I owned all the cars (as many have) before the pack was released which repackage owned cars… and the discount applied is still way to high as it’s normally mostly liveries. So of course I only buy the newly released car. The problem here is, that you own every car, but not every livery on that car. That’s the point that seems to make the discount so minimal. For example you own one car with its 1 Livery included. The Car costs normally 249vRP. Now there are maybe 9 liveries left with 49vRP each – makes it 441vRP rest. In the pack the car + all Liveres for it cost around 275vRP – without the pack it would be 690vRP. Thats a discount at about 60%. So the 441vRP discounted in the pack makes it a rest of 265vRP for just that single car. But a as Pack contains more cars and if you already own all cars and buy the pack the packprice sums up just with the missing liveries. IMO it is a bit sad that R3E is often reduced to it’s Price-Model. Many potential users get a wrong opinion on it as they just don’t have a closer look at it. They just think it is expensive because to many people are complaining about it. But with closer look in the details and don’t buying things you don’t want to use (in the beginning) you spend maybe 5$ per month and have a lot of fun with it. Well guys… for sure you can complain on the Price-Model in general, but with a closer look in the game and how the Price-Model really works, it isn’t more expensive than other games. If you go in detail and reduce your needs to a minimum you can even have a very cheap race-sim. Have a look at other Sims like AC or Pcars. They have some cars in the game that all doesn’t quite fit together. With DLC more cars that doesn’t fit gets added, so you get a bunch of cars that at a time will fit to a complete starting-grid. 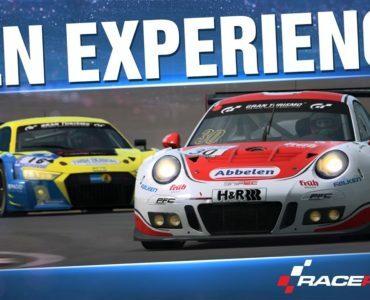 In Raceroom you buy a pack and you can choose from a full grid of cars out of the same class. Or just buy one car but race in a full grid of cars of the same class. If the price-model is the only thing that stops you from having a deeper look into the game, I’m sure that you will miss a lot. @disqus_E9GlguHraq:disqus the similar cars in Packs are license-related. In case of the GT3-Cars for example the ADAC GT-Masters-Cars are under the License of ADAC. In those packs you don’t buy the car-model again if you already own that car in another pack. It is just the livery that contains to the other pack that have to be bought again. And Again – you don’t need to buy the pack. You can just buy one of the liveries and can play within the new content. No I disagree, as a owner of R3E from the release… the issue with the packs is the problem for long time owners. Here’s why… I bought all the single cars as they we’re released.. +$250US to date. Then the Packs surfaced, and when you own all cars with exception of the latest car, you do get a small discount but you’rre really buying 1 car and 21 liveries…. for like $8-$12US. Anyway, I’m not really complaining, I enjoy R3E and as of late wait for the 50% off sales for new content… I currently own every track and car with Exception of Macau and the Historical Nissian. Like I said +$250 actually more but stopped counting a while back…LOL. I’ll likely get Spa without sale…. as it’s Epci! yeah – for use early users it is a pill we have to drop as we’ve bought content while there weren’t any packs. The large amount of Liveries makes let the discount on packs look minimal for us. But for new Users the Packs are a good deal. IMO the ADAC GT-Masters-Packs where always a great buy. Nice looking track but without proper SLI and triple screen support it is not for me. Shame. I personally look forward to whatever Sector3 brings out and purchase it without a second look as it is a top shelf product…it hardly breaks the bank and it goes to supporting future content. Great video, great immesion. The track looks amazing. Maybe they’ll do a decent 24 hour Nordschleife/Spa race. They should after wasting GTR Evo’s half finished Nordschleife. Spa never had all those cones laying around literally everywhere. What’s up with them? It´s R3E. They don´t care about proper car-physics, why should they care about accurate track layouts? Because it’s advertised and sold as a simulation? False advertising can be taken to court, but that’s not the point. It looks annoying to have all those cones in every corner, doesn’t feel right. Dafuq is wrong with you? Learn to read and don’t bother other people. They do care about physics (not sure on which base you build your opinion) and the track-layouts are one of the most accurate available in the current available racing-sims/games. Yeah, R3R reminds me of Forza, but Forza has much more and individual setup-options for each car. You can change tyres and the pressure as well. And R3E has not that much in common with rF2 or AC in terms of handling, but the same car should behave at least similar. You can choose which game does it much better, because either R3E is right and rF2 wrong or the opposite. Are they to indicate to the player where the games cut track penalties will be applied? There’s LOADS of useable runoff at Spa.